We had a good couple months together, The Division and I, but then I got tired of its crap and uninstalled it. Ubisoft is hoping to bring an end to that common dilemma with the latest patch for The Division. Update 1.4 fundamentally reworks many of the game's systems in an attempt to cut out a lot of the grindy boredom and get players back to the tense, tactical shooting. Ubisoft delayed the rest of The Division's DLC to get this update out the door. But was it worth the wait, or is it already too late to get lapsed players back into post-outbreak Manhattan? Here are some of the biggest changes that might re-capture your interest. Ding dong, the bullet sponges are dead. Er, faster. Update 1.4 has reduced "time-to-kill" for non-player enemies across the board, addressing one of the biggest complaints directed toward the game since launch day. Ubisoft says it made some AI improvements too, so hopefully the Cleaners, LMB, and all the rest will present more interesting challenges than "keep the reticle over my head as you unload several clips into it". Did you ever matchmake into a "challenging" mission only for all of your teammates to take a look at your gear and immediately kick you out of the group? The Division did a piss-poor job of telling you how tough a lot of its end-game content was before, but the new World Tiers system should go a long way toward clearing that up. Once you hit level 30, you'll be able to choose from four different World Tiers, each of which has enemies scaled toward a certain gear score. Farm up a full set of gear from that Tier and you should be powerful enough to advance to the next one. Simple. No more farming the same set of bosses in The Dark Zone over and over again (unless you're really into that). Ubisoft has given all enemy NPCs the chance to drop High-End and Gear Set items, though veterans and elites still have a better chance. And if you want, you can just wander around Manhattan and pick off bad guys in perpetuity: roaming NPC groups and bosses will now respawn every four hours. Finally a reason to re-visit four-fifths of the game's surface area! 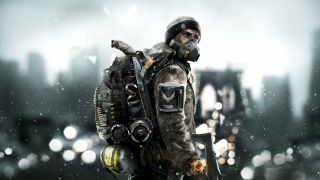 Ubisoft's reworked The Division's weapons and associated talents in hopes of making them all more useful and balanced. But you'll probably still get a few stinkers here and there. Thankfully, taking your weapon in for recalibration is now much more helpful: you can choose from six different talents instead of just three, and you still have the option to keep the original talent. It's kind of weird that you can build a uniquely named gun that presumably has a story behind it as many times as you want, right? Well, now you can't - mostly. The Division has gotten rid of blueprints for all named weapons, and the only way you can get new ones from this point on is to find them out in the world. You can still craft using the old named weapon blueprints you already have, but they'll only work for their set gear score. What's the difference between Stability, Horizontal Stability, and Initial Bullet Stability? Who cares, they're all one stat now! Update 1.4 does some sorely needed housekeeping for The Division's numbers game, merging several stats into each other and clearing up the logic for others: damage bonuses now add to each other instead of multiplying, for example, and toughness will take all of your damage resiliency into account. Calculated weapon DPS might be a little more useful too, now that it takes headshot damage into account, but no guarantees. You can check the game's official site for the full patch notes, but you might want to get comfortable and stretch your scrolling finger first. It's a doozy.